Our home life and our work life are usually separate. In our home, we will relax, sleep, eat, drink and pursue hobbies and activities that make us happy. At work, we will spend your time concentrating, learning, creating and more, so that we can help others and earn fair wage. However, sometimes these lines can cross for one reason or another, but is definitely will if you work from home. If you do, there’s a good chance you have a home office where you have your computer, your files, telephones, scanners, fax machines and much more. Some people have such rooms for study purposes or to do other work, separate from their job. If you have an office in your home and you are relocating then you can find yourself in a predicament. Many of the goods in here will be important and expensive, so you cannot run the risks of them being damaged or lost. If you want to know that your things will be secure and arrive at our new address promptly call us at London Removals on 020 8746 4366 and we can assist with your home office removals. Our home office removals services can ensure you have the best experience during your location. We are a top home office relocation team based in London that can provide all the support you need with our home office services. You can contact us now on 020 8746 4366 and you will see what we offer. Our operators are standing by and they can give you the full rundown of our services. You may be experienced with a move so we can help you with the basis. Our call staff are friendly and experienced so they can bring you up to speed on any aspect of a removal If you are interested in our services, then they can help you hire what you desire. They will offer a free quote that needs no commitment so you can get the right services at the best price. We know how important your office supplies are and so we will take every measure to keep them safe during the process. Our movers can come to your home and they will know how to do everything properly and securely. They will bring all the necessary packing material and put it to good use. They will help to enfold your materials, from computers to stationery so that they will resist damage, leaks and dirt. They will place all your goods in sturdy boxes, arranging things so no item will be damaged. 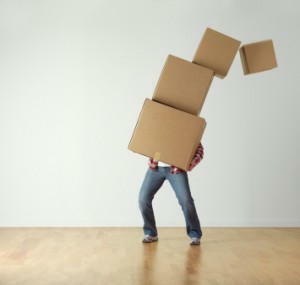 Our moving staff have the strength to carry these boxes as well as any heavy items. You may have various appliances, electronics and furniture that can be tough to move but they will handle it. They will take their time when moving such goods so everyone involved is safe. They will ensure no damage comes to your things or your building as they move it in and out of your abodes. We have various removal vehicles at our disposal so we can do exactly what you need. Our team can come in vans or tucks, so we can get your goods to your new address. Our team of professional movers will load the moving vans carefully and fix everything down so the items will be safe during transit. Upon arrival at your address, they will take things out of the van and bring everything to where you want it inside your house. Our home office removals will ensure a successful relocation, so contact London Removals today on 020 8746 4366.